1. You feel like you've woken up dead. Basically your mind wakes up but your body doesn't, so you essentially feel trapped inside of your body unable to move. Many people wake up feeling like they're dead. 2. It happens as you fall asleep and wake up. Sleep paralysis can happen during either of the two transitions in your natural sleep cycle. Your body goes into REM and must eventually come out, but sleep paralysis happens when your body has trouble making the transition. 3. 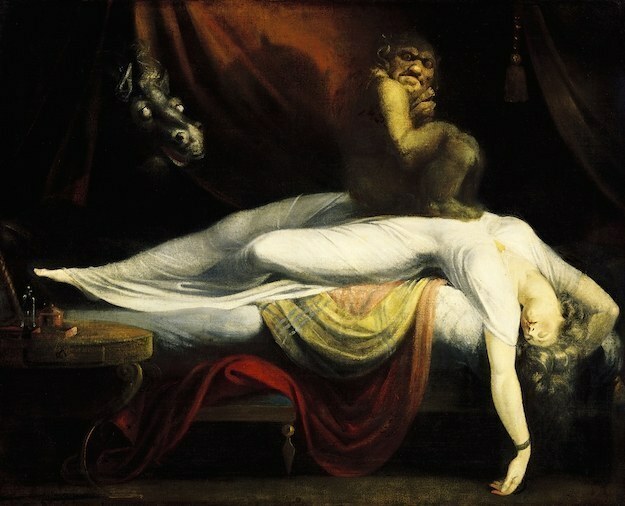 Sleep paralysis often includes hallucinations. 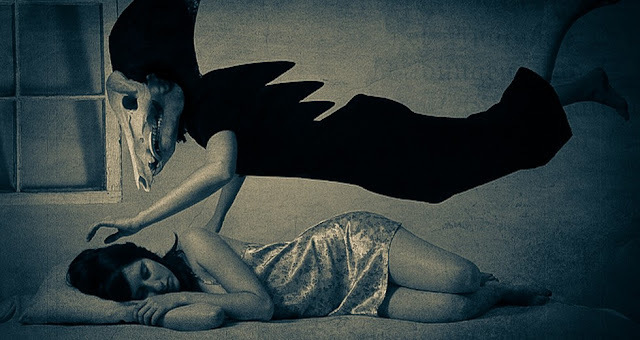 People with sleep paralysis have reported nightmares, but while awake. The mind is alert and the eyes are open. Some of these hallucinations end up being terrifying ones that feel as real as any other waking moments. 4. You can't wake your body up. You just have to wait it out. 5. It's natural and it can happen to you. It can happen to anyone really. Most people will have at least one episode of it in their lives, but may not actually be aware it happened. 6. It's more likely to happen if you're sleep deprived. Some research has shown that people who consistently don't sleep enough are more likely to experience sleep paralysis. 7. People have tried explaining this phenomenon away for ages. Persian medical texts wrote about sleep paralysis in the 10th century, and since then, people have considered demons, sleep palsy, aliens, and a variety of other things to be the cause. 8. It feels like there's something on your chest. Combine weight on your chest with hallucinations and you're bound for a scary experience. Many people have reported something sitting atop their chest, like a goblin or a witch. 9. It can't kill you.